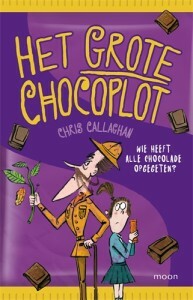 The Great Chocoplot is an award-winning and best-selling children’s story about a global chocolate crisis that has been translated into several languages. 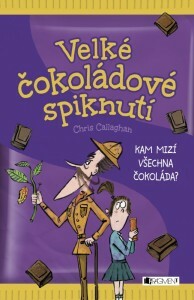 Chocolate! Chuckles! Mystery! 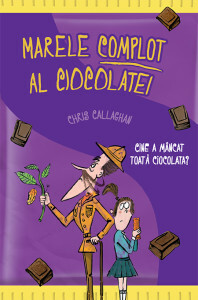 A lip-licking treat where reading meets chocolate (the perfect combo). What if chocolate vanished – forever? Wouldn’t that be awful? Especially for Jelly and her family. They live in Chompton-on-de-Lyte, home of the famous Blocka Choca bars. If this disaster happens, it’s not just people’s taste buds that will suffer. It’s local families and jobs. But Jelly is suspicious. Soon a trail of clues leads her to a posh chocolate shop nearby. The pompous owner, seems weirdly smug despite his failing business. 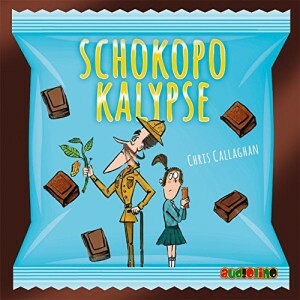 Is the Chocopocalypse really coming – or is there a chocoplot afoot? 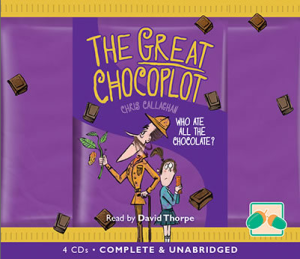 “With an excellent cast of characters, laugh-out-loud moments, and witty and sharp observations, this is a great choice for fans of Dahl and Walliams.” – The Guardian, Best New Children’s Books. This story was written for my daughter as a Christmas present when she was 8 years old. I wanted to write a story that we could enjoy reading together, as a family. I tried to make it silly, and funny, and also wanted to make us think about how precious some things are – like chocolate. After lots of work (yes, work … writing is work!) with the wonderful Chicken House team, where we developed the story, and tweaked it, and polished it until we could polish it no more. Eventually we ended up with a book … an actual book! My daughter’s present became real!! Please support your local libraries and bookshops. Please don’t forget to leave an online review. Reviews really help authors like me to get noticed and increase the chances of being able to write more books. 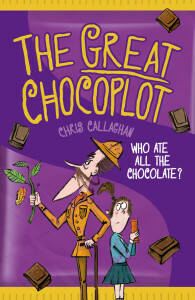 If you want to read the first chapter of The Great Chocoplot click here and see if it tingles your appetite for more!! For a special extra bonus, there is a deleted chapter here. It was a scene removed during the final stages of editing and it was taken out purely to keep the word count down. It’s a bit of fun and happens between Chapters 11 & 12 where Jelly and Gran experience some of the crazy rioting that happens because of the imminent Chocopocalypse. But it’s best if you don’t read it without reading the rest of the story first!! 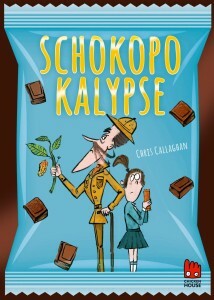 News of The Great Chocoplot and The Chocopocalypse is spreading out across the world. the Worcestershire’s Awesomest Book Award 2017!!!!! 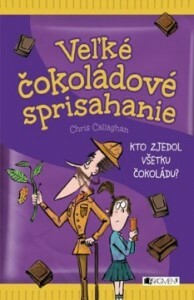 Chris has also been invited to talk about his book at The Roald Dahl Museum during the Easter Holidays as part of their Charlie and the Chocolate Factory celebrations. A huge chocolatey honour indeed!! My local libraries have been wonderful to me and my book. 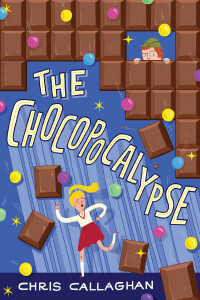 They have shouted ‘Chocopocalypse!’ louder than anyone. Who says Librarians are quiet?! I am especially grateful to North Tyneside, Stockton, Middlesbrough and Gateshead Libraries. Huge thanks to the book shops that have been supportive of me and my silly story. I am particularly grateful to the lovely people from Waterstones Durham, Forum Kids Books, Blackwells Newcastle, Drake the Bookshop and Seven Stories.